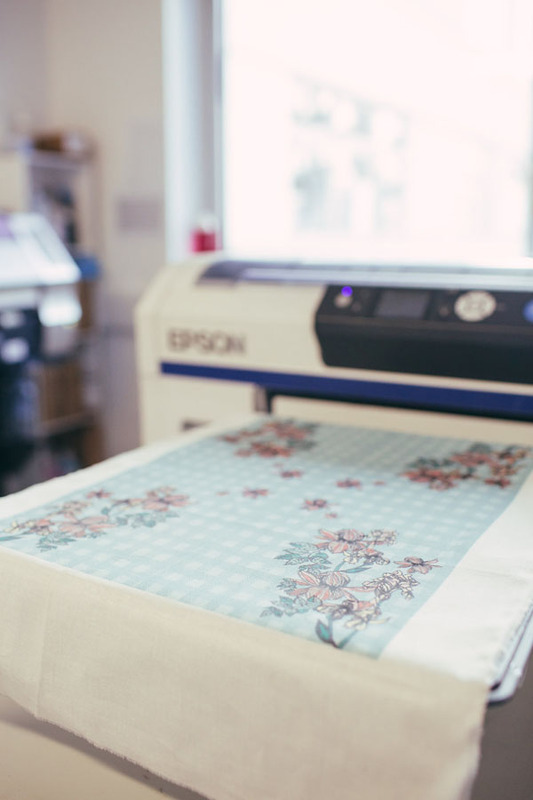 If you already have experience in textile or surface design this course will allow you to develop your portfolio to a professional standard and, if you choose, develop a range of products on which to found your own business. 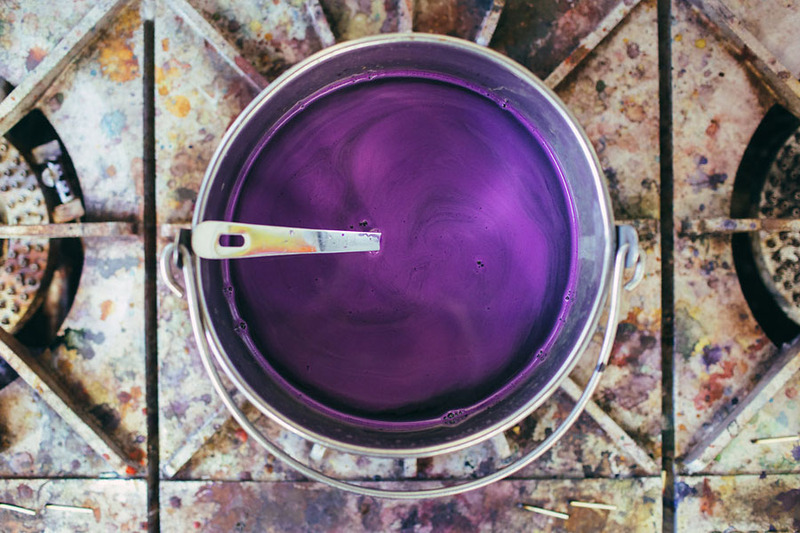 The choice of materials, processes and markets is up to you and you will have access to a wide range of workshop facilities. 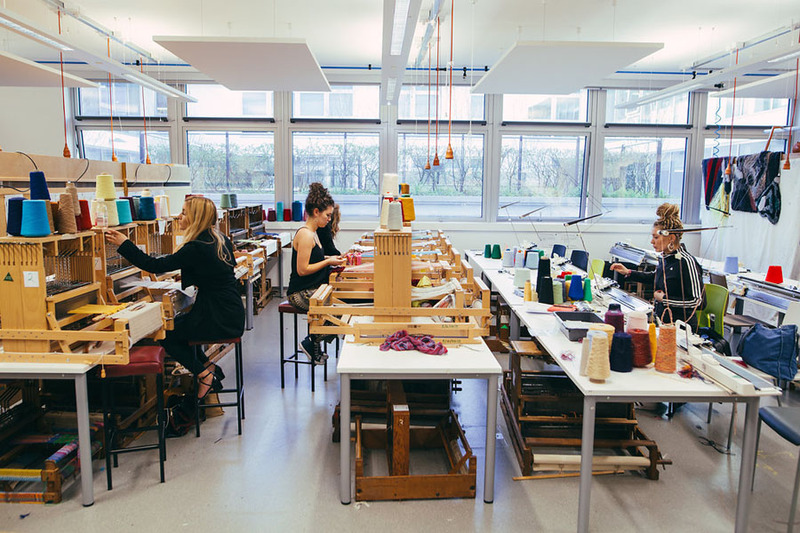 You will also have the opportunity to collaborate with other fashion and textile students. 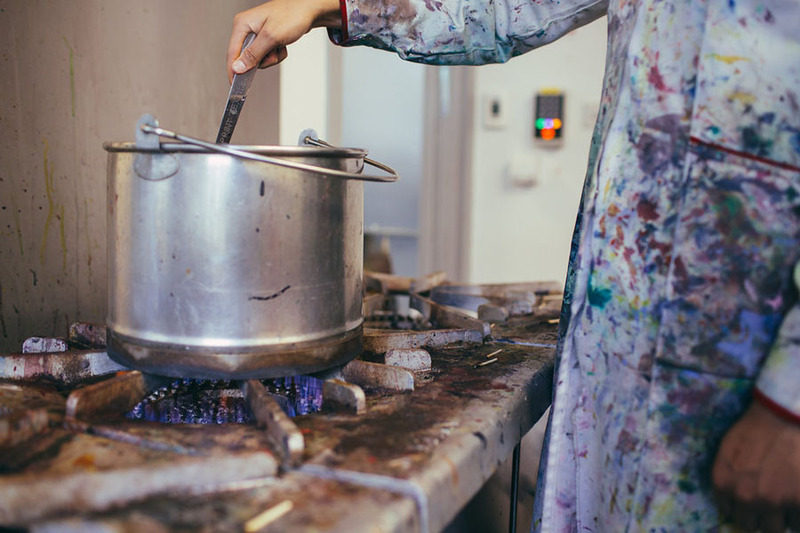 The course accepts students from other backgrounds too such as graphic design or fine art who want to reorientate their career. 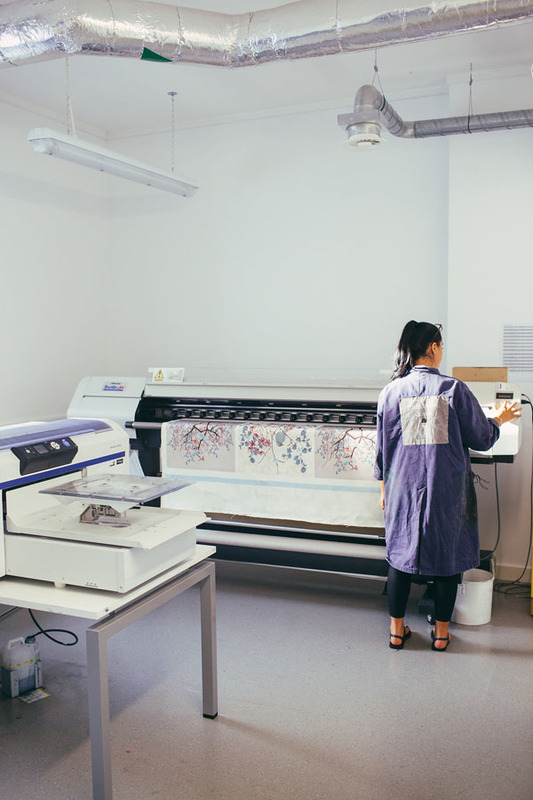 The course provides a forum to discuss and analyse the professional, commercial and cultural dimensions of textile and surface design in contemporary society. 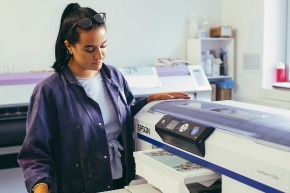 Based at our city centre Parkside campus, you will have access to a wide range of conventional and CAD facilities available in constructed and printed textiles, 3D prototyping, ceramics and glass, as well as the opportunity to collaborate with a faculty full of creative students. 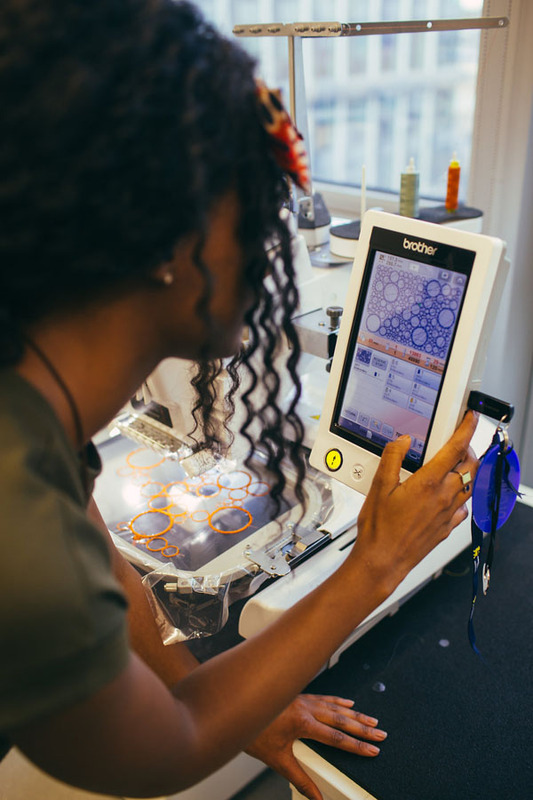 Your learning environment will encourage you to become an adaptable, flexible and knowledgeable graduate, equipped to pursue a career in the textile and surface design field. 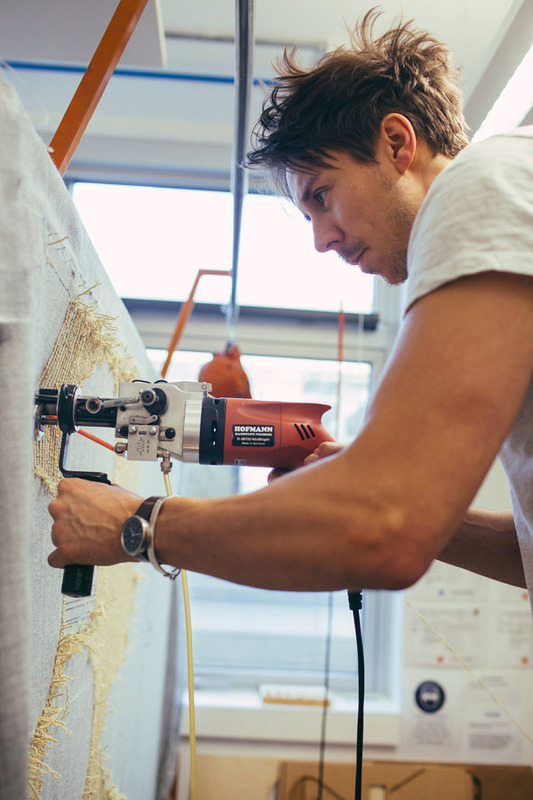 Benefit from a unified programme and work alongside textile, fashion and surface designers. 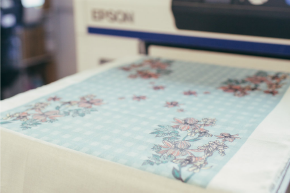 Access a wide range of facilities, including digital print and a Gerber fashion CAD suite. 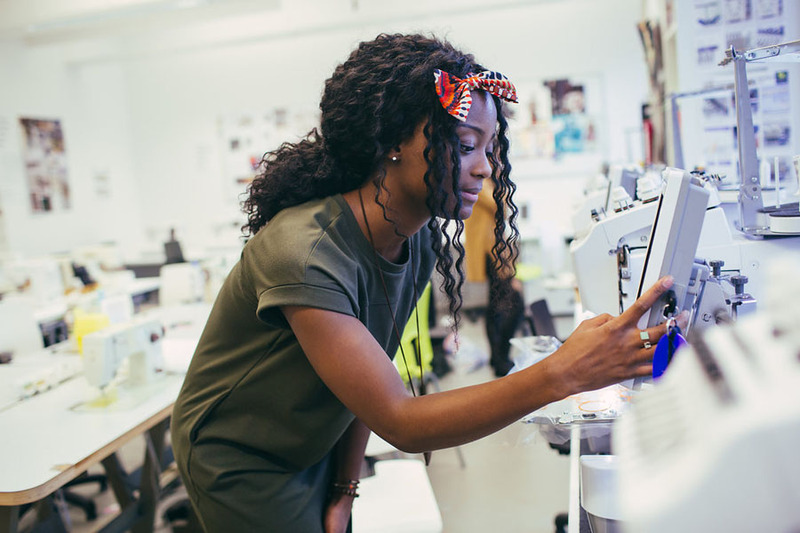 Network and collaborate with other fashion students, our wider postgraduate community and beyond. Enjoy a vast archive of fashion publications dating back to the 1930s. 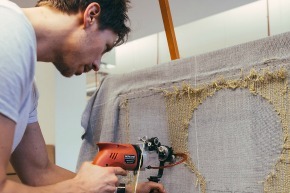 A good degree in textile design or equivalent qualification. 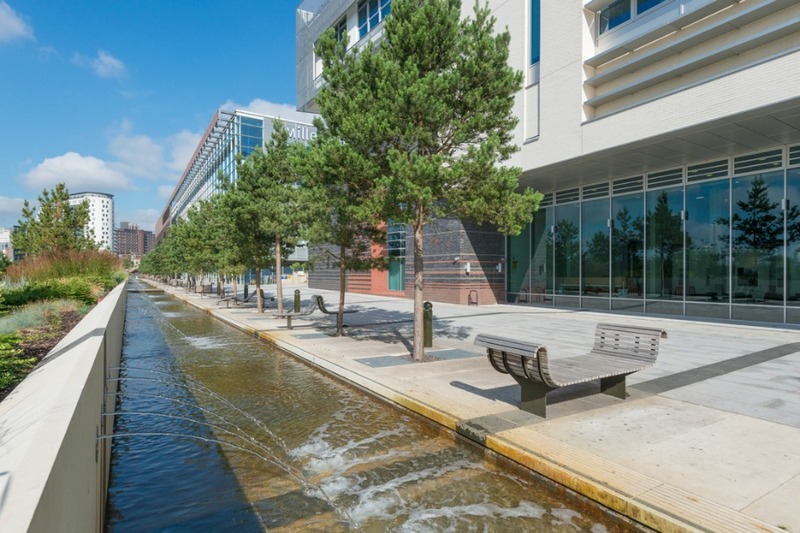 You will have access to Moodle, the University’s online interactive learning platform, University blogs, and an online forum to cultivate the postgraduate community within the School and to highlight professional opportunities for MA Fashion and Textiles students.You will also have use of the University Library, which includes a wealth of print and online learning resources. 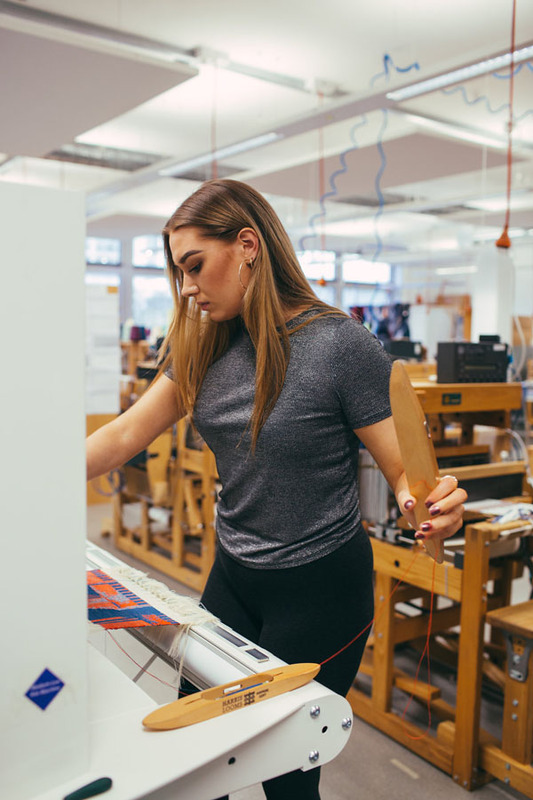 Situated within the School of Fashion and Textiles, there is a wide range of conventional and CAD facilities available including digital print, digital Jaquard and 3D printing and laser cutting workshops. 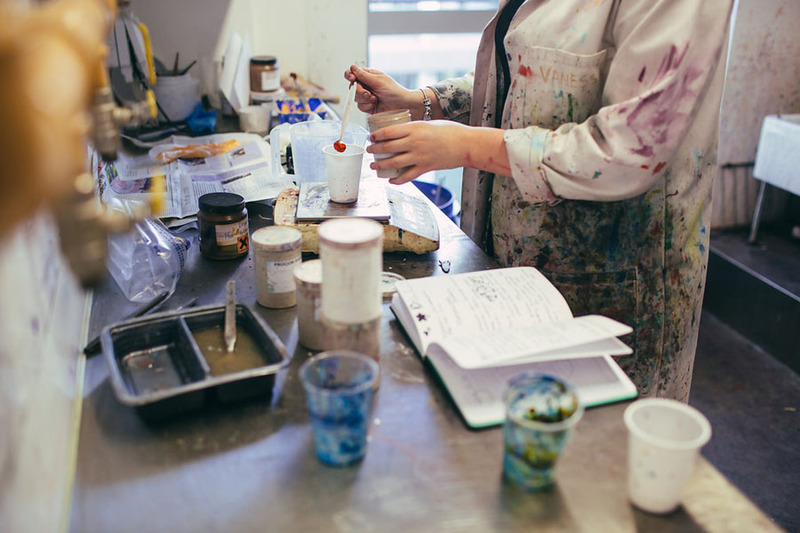 There are also specialist facilities available in glass and ceramics. 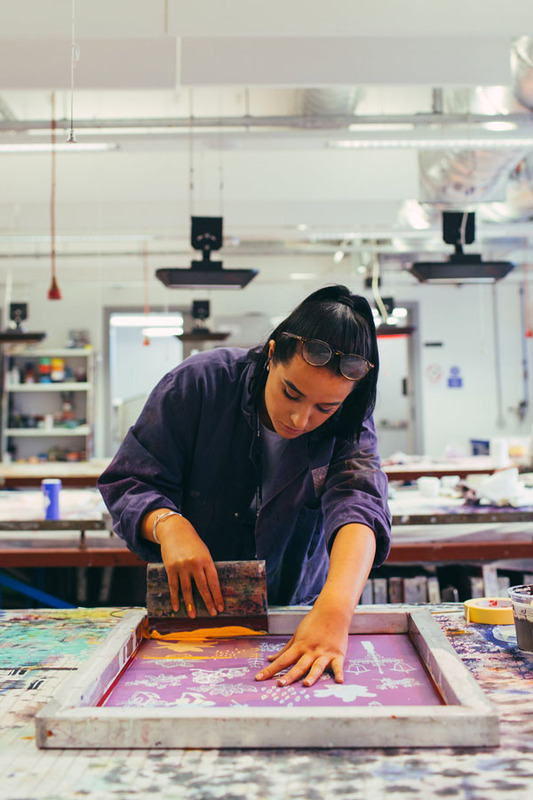 You’ll develop creative and practical skills which are ideally suited to gaining a career in textile and surface design. 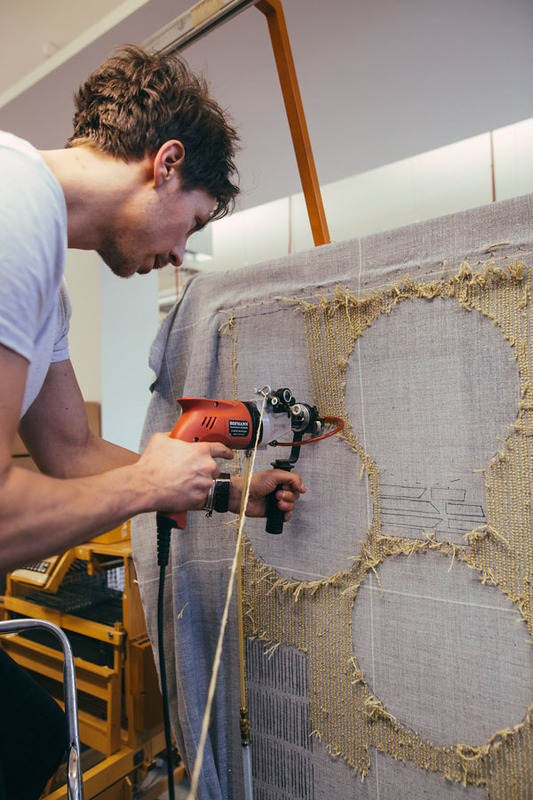 Learning through studio and workshop practice, you’ll also benefit from our close connections with manufacturers, and get to experiment with a wide range of materials to create new and innovative products and design ideas. 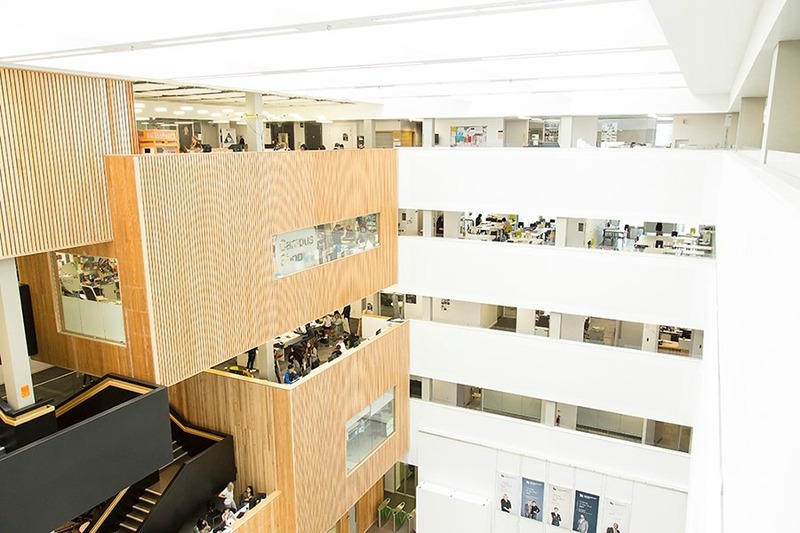 To support your learning you are encouraged to develop links appropriate to your studies, these have previously included DuPont, Emap, Sandersons and Ensell and Hall. At each stage you will also write reports that encourage you to develop a critical and contextual framework within which to understand your practice and future career choices. 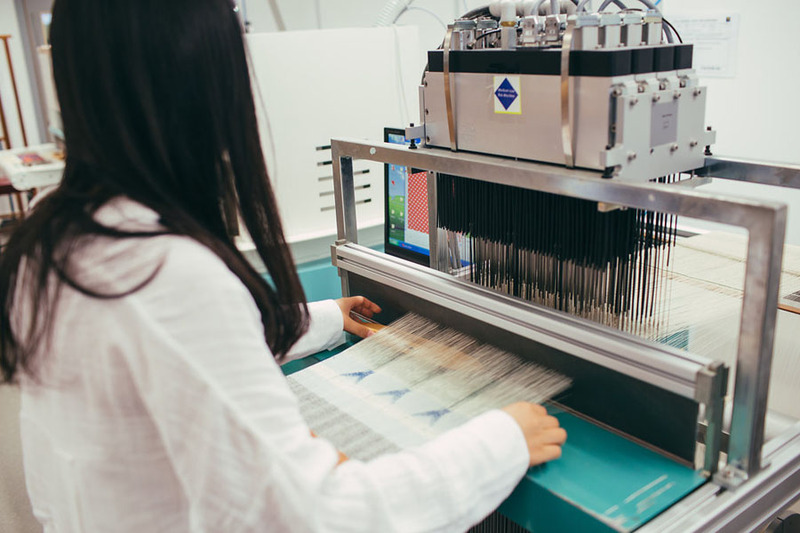 In addition to our focus upon you as textile and surface designer, there are also opportunities for you to network with the professional world, and engage in external activities such as collaborating on projects that enhance the student experience and provide ‘real life’ experience. 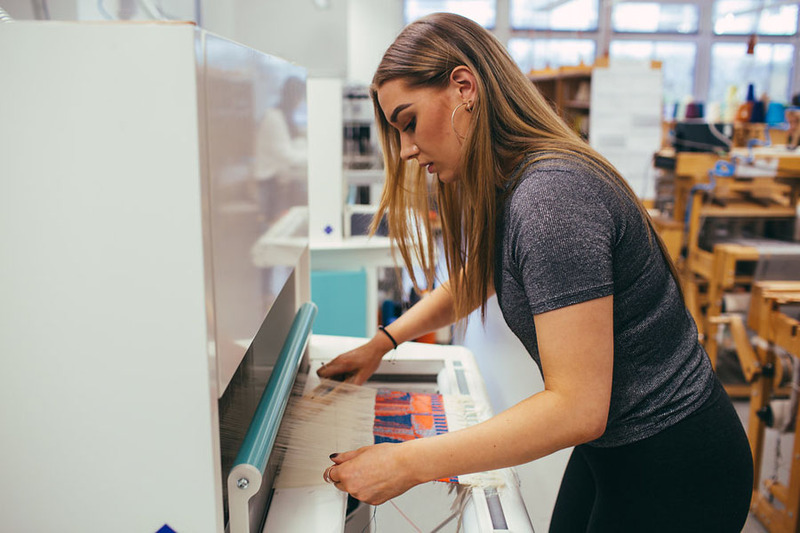 The annual MA Fashion show, Vision for the Future, marked its fourth anniversary this year at BCU, flexing the talents of our Fashion Masters courses. 21 MA Fashion Design students showcased their collections, while MA Fashion Management, MA Fashion Promotion and MA Fashion Styling students took key roles in organising the spectacular event. Supporting Cancer Research UK, the show raised £430 for charity and gave students an experience of creative production on a live project. 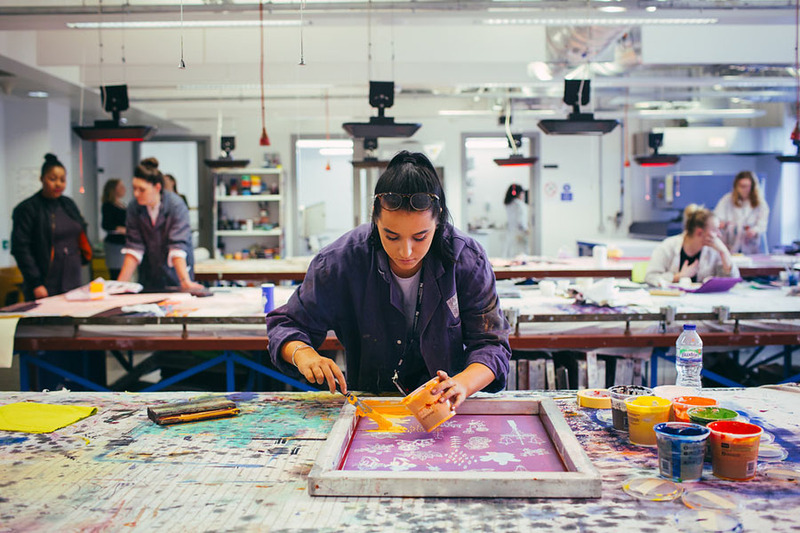 MA Textiles and Surface Design connects you to contemporary design roles and teaches you how to continue learning and developing your practice as a professional after completing your course. The MA also has a proven track record in enabling students to progress to a PhD level of study. 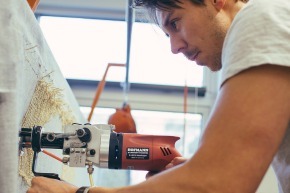 See our PhD Art and Design course. During the Diploma stage you are given the opportunity to visit Paris for the world’s premier fabric show, Premier Vision. 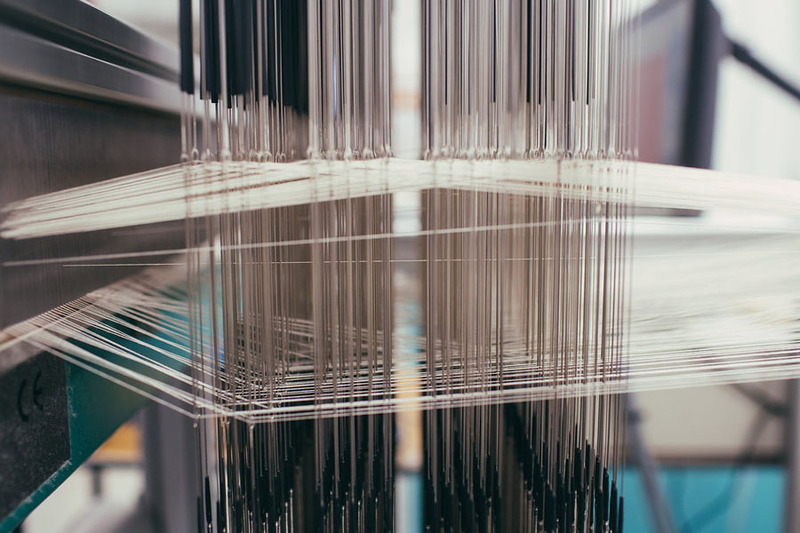 The show offers up the season’s fashion directions some 18 months in advance, and is a useful tool to introduce you to all stages of the supply chain within which textile and surface design sits. 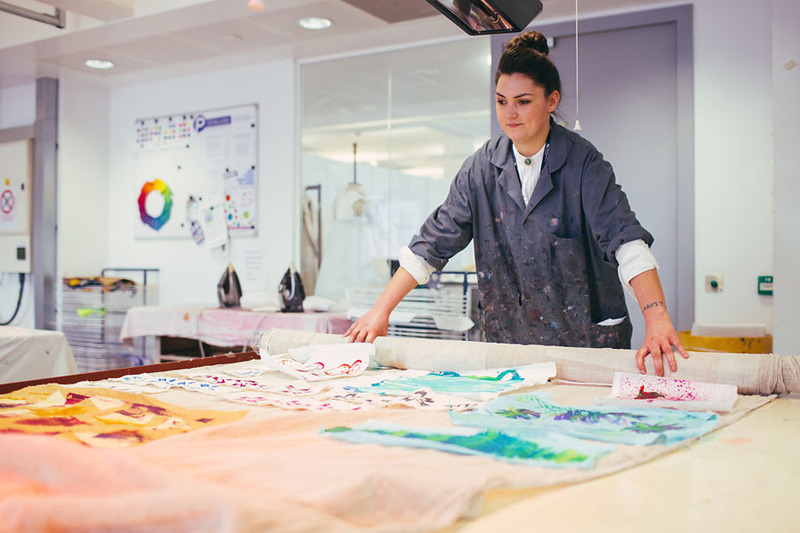 The successful completion of MA Textiles and Surface Design will deepen your practical and theoretical insights and techniques, giving you the confidence to build your own professional career as a designer. You will also develop your critical skills such that you can form, evaluate and communicate complex concepts that reflect your individuality and independent thought. 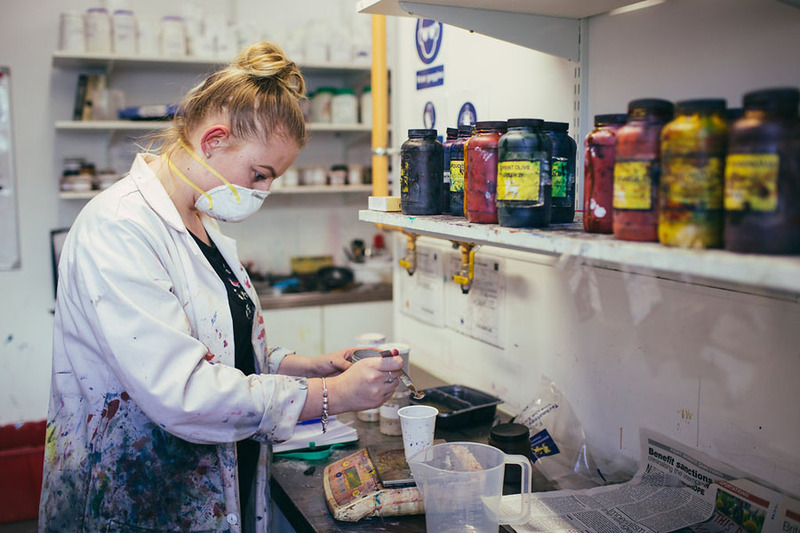 You will develop your creativity, your aesthetic sensibility and an in-depth knowledge of a personally chosen area of specialisation, which will equip you with the necessary skills to gain meaningful employment. 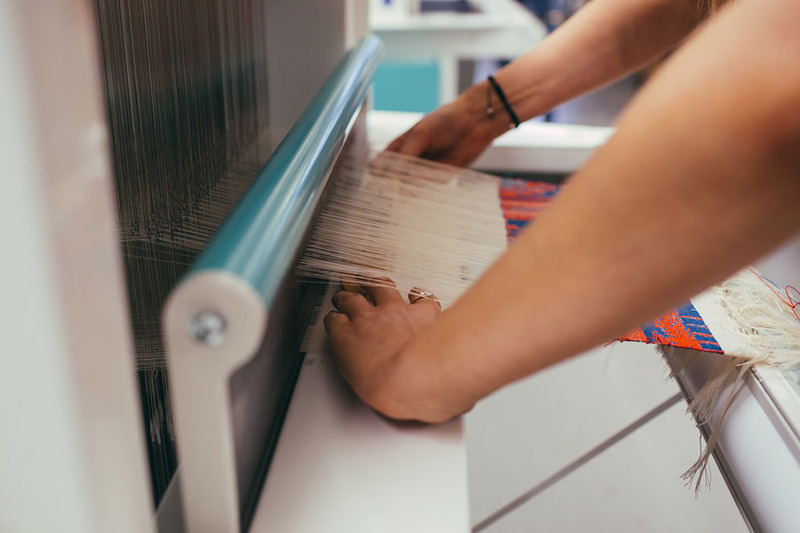 You are encouraged, particularly during the PgDip and MA stages of the course, to seek external experiences and feedback from professionals and companies active in textile and surface design. 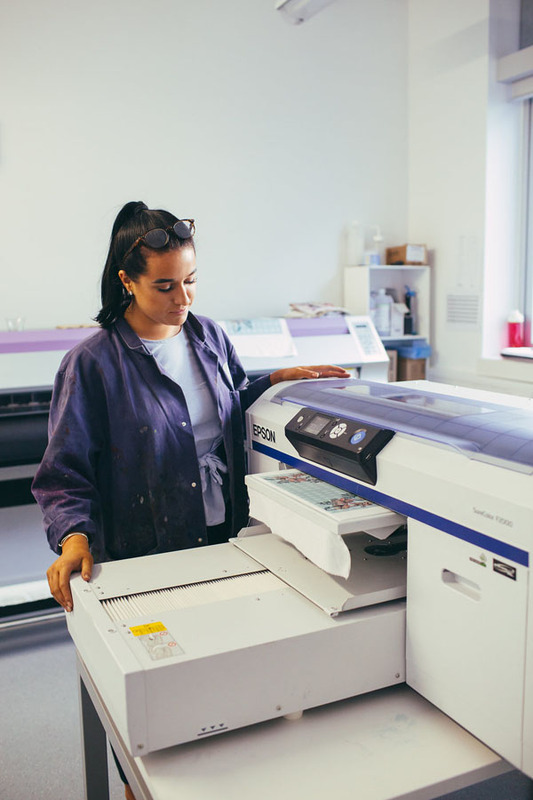 Our graduates are well prepared for a number of roles, including freelance and designer maker practices, designers, buyers, and industry managers. 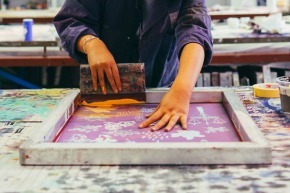 Typical routes are textile designer, self-employment either as a freelancer or running own business, university or college lecturer, working in retail or buying. 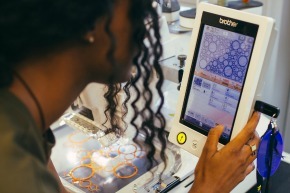 Many of our past students have started their own companies and labels. 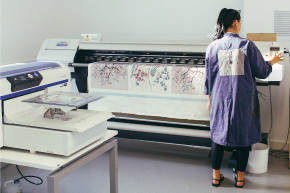 Many of our textile and surface design students choose to develop projects directly linked to their home countries and conduct field research around the world.